Partners in Education: The Little Mermaid Jr.
Partners in Education: Little Mermaid Jr.
APPLETON, Wis. — Under the sea, life is sweet there! 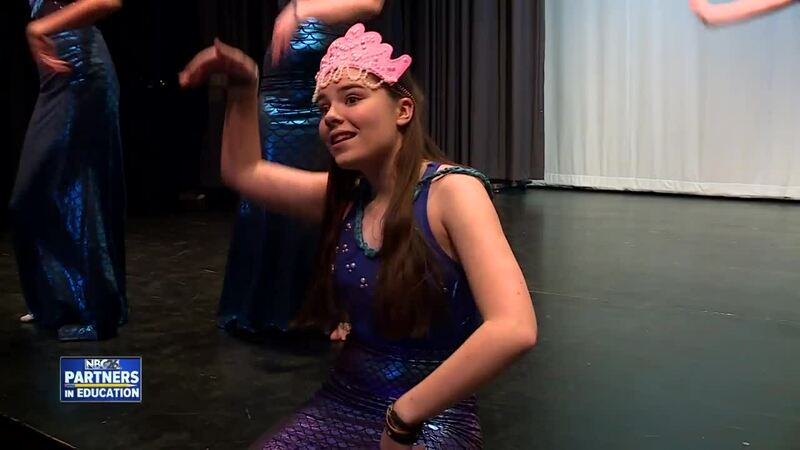 Middle schoolers at Kaleidoscope Academy in Appleton are performing The Little Mermaid! Under the direction of theater teacher Kristin Glenn students perform their best. Singing and dancing, and while it may look easy these students have been practicing and rehearing to memorize their lines. "For me it's watching the students creativity, and comfort level, you can take the child who is very shy, and watch them have a world that allows them to escape what makes them nervous and give them a safe space," said Kristin Glenn, theater teacher. "It's kind of a big role, and I was concerned how other people would feel about me," said 8th grader Eleanor Sieck, who plays Ariel. Sieck said she feels like she's with family. The role of "Flounder" was an easy pick, sixth grader Ally Pontow was chosen out of many students even eighth graders, according to Glenn. "Flounder is Ariel's best friend, he sometimes helps her with troubles he follows her around a lot because he cares about her," said Pontow. Their bond, is unbreakable like the movie. "I really like acting it makes me happy," said Pontow. "She's very devious she wants all the power in the ocean, she's very out there and feminine, fun" said Rosanna Williams who plays Ursula. What play wouldn't be complete without the villainous, evil sea witch! Here's a link to buy tickets to the show coming up March 5th and 7th.